Money laundering refers to the methods relied upon by organisations or persons to legitimise or convert proceeds of crime or other crime-related finances into legally accessible wealth. Given the nature of money laundering, proceeds or instruments of crime can be converted, or take the form of, jewellery, expensive art, automobiles, funds, or property, amongst others. 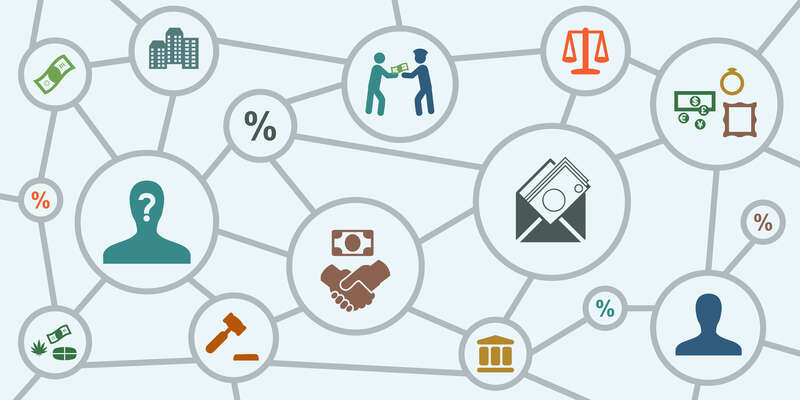 Money laundering can take on very complex dimensions, and often encompasses a trans-border element, or sophisticated execution by syndicates across different jurisdictions. The Australian Crime Commission estimates that, at a minimum, $10 billion a year is laundered within Australia, or involves Australia at some stage in the process. Financing terrorism and providing further opportunities for future crime. What Investigative Powers do the Australian Federal Police and the Australian Crime Commission have when investigating money laundering? On the national level, the Australian Federal Police and the Australian Crime Commission have considerable powers to analyse, detect, and investigate financial crime. In recent years, however, the government’s efforts to police such activities have become increasingly sophisticated. An example of this is the Criminal Assets Confiscation Taskforce, which is a cross-agency initiative led by the Australian Federal Police, and supported by the Australian Crime Commission and the Australian Taxation Office. This represents a formidable network of integrated intelligence, legal, and investigative expertise dedicated to detecting and investigative financial crime. It is important to note also that the Australian Crime Commission has power under s 17(2) of Australian Crime Commission Act 2002 (Cth) to co-operate with foreign authorities and officers performing similar functions. A similar focus is evident in the Proceeds of Crime Act 2002 (Cth), where s 13 provides that the Act is to apply to ‘acts, matters, and things outside Australia’. The analysis of financial information will not be restricted to Australian records or non-compliance, but broadly any conduct, or transaction, which has an Australian component. In cases where there is evidence linking property or funds to financial crime, a statutorily compulsory examination (as opposed to interview) can be ordered under Chapter 3 of the Proceeds of Crime Act 2002 (Cth). In these circumstances, a person being examined is placed on strict conditions to provide information which is not false or misleading. The failure to attend or give accurate answers may give rise to criminal penalties under ss 195 and 197A. The legislation is extensive and provides numerous different avenues for collecting information, testimony, and data from identified persons, their properties, and the banks which hold their funds. The Proceeds of Crime Act 2002 (Cth) enable the Australian Federal Police to provide information, transaction records, and the power to search and seize materials or property which are linked to suspicious periods of activity. Financial institutions and banks will have to be compliant with requirements for them to provide information either relating to particular periods in which suspicious activities were detected or relevant to specific accounts. It can be expected that the information and analysis obtained by law enforcement agencies may be shared between Australian agencies, and as earlier mentioned, foreign law enforcement agencies. Apart from the above, the authorities may make an application to a magistrate for a production order to compel a person to produce documents for inspection under s 202 of the Proceeds of Crime Act 2002 (Cth). This is limited to what is referred to as a “property-tracking document” – which can include documents relevant to tracking proceeds of a serious offence which the authorities have evidence under reasonable suspicions of having been committed s 202(5)(c)(ii). The powers available to law enforcement agencies are indeed formidable, with an increasing sophistication and level of integration occurring not only nationally, but also on a transnational scale. Money laundering is seen as an indicia of other undetected and ongoing criminal enterprises, and the government will not hesitate to devote extraordinary attention to detecting and eliminating these activities. Nyman Gibson Miralis are experts in assisting companies and individuals who are the subject of investigations by AUSTRAC, the AFP, the ATO (Australian Taxation Office) and the Australian Criminal Intelligence Commission (ACIC) for suspected money laundering activities. Our Sydney criminal lawyers have specialised knowledge of the substantive laws under which these agencies operate and the practice and procedure of investigations and prosecutions. Our unique point of difference from other law firms is that we have been involved in most of the significant litigation in relation to money laundering allegations in Australia and have acquired expertise as litigators and trusted legal advisors concerning money laundering investigations and prosecutions. We are widely recognised as being experts in transnational money laundering investigations and have been involved in advising in investigations involving the USA, Hong Kong, Singapore, China, Cambodia, Cyprus, Russia, New Zealand, South Korea and Europe, where there has been an Australian connection. How does the FATF work with countries to improve AML/CFT compliance? How Well Does AUSTRAC Monitor Money Laundering? How successful is Australia's Anti-Money Laundering Regime? How Can Australia Better Handle Money Laundering? How is money laundering investigated on a international / transnational scale? This operation is a global initiative – the ACIC uses criminal intelligence insights from various foreign law enforcement bodies, such as the United States Drug Enforcement Administration (DEA), US Customs and Border Protection (CBP), the Hong Kong Police Force and even the Indian Enforcement Directorate. Collaboration with these various agencies has led to the disruption of many organised crime syndicates. For example, Operation Eligo seized over $580 million worth of drugs and assets, including $26 million in cash, in 2012.